This year the jewelry industry is rocked with the advent of “man-made” (actually man-rearranged) Diamonds. What should I think about this? the jewelry industry this year was rocked by the advent of affordable diamonds. Well what does that mean,..? Carbon crystallized into the cubic system then faceted to break light up into a pleasant mix of white and prismatic (spectral colors…) light. 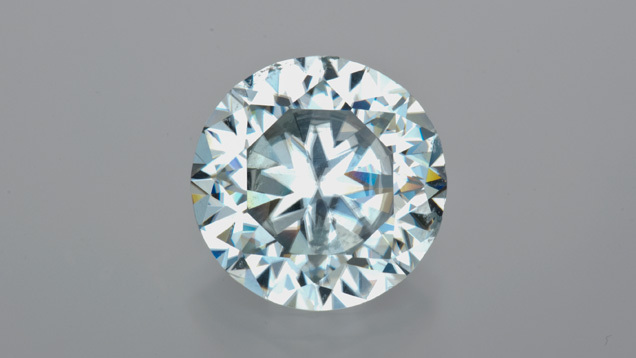 Commonly known to fine jewelers as simply a DIAMOND. So, does it make a difference in the beauty of a diamond. Well,.. its just another subjective choice that the consumer makes. You see, a diamond is a diamond, it just depends upon how it is, or was, crystallized. Did God make in in history or some geek with lots of high pressure really expensive equipment? A diamond is a diamond. The most important thing is for the consumer to know what they are purchasing. It takes a professional jeweler to inform the customer as to the nature, value and beauty of the diamond. You see,.. the internet can only go so far: it cant determine the customer’s needs and then apply product to satisfy the customer’s needs. It takes a professional jeweler to do so. Determining needs is the skill of a real professional. Not self or profit interested, a real Jeweler can not only determine needs, but can TRUTHFULLY apply the product that meets the customer needs. We are in the process of manufacturing several sets of two IDENTICAL contoured wedding bands to demonstrate the same technical characteristics of round brilliant ideal cut diamonds…. one crystallized by man and the other by GOD. In todays’s market the consumer chooses their value unless they are willingly uninformed. Yes,.. the consumer needs a PRO. An educated and customer focused jeweler can really make a difference. Why? They can use customer focused skills to determine needs and THEN APPLY THE MERCHANDISE THAT MEETS THE CUSTOMER’S NEEDS! Christian, Husband, Father, Grand Father, Jeweler, Certified Gemologist AGS, Graduate Gemologist (GIA), Jewelry Designer, Hand Engraver, Redwings Hockey and Potter.